You don’t have to choose what kind of plant to get, thus alleviating the burden of choice. 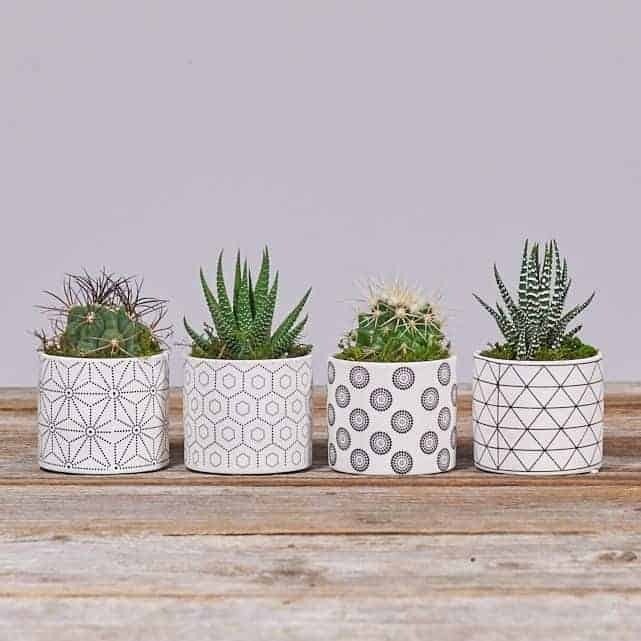 You don’t have to leave the house to get more plants, which allows you to spend more time at home (with your succulents). Monthly deliveries come just in time to satisfy my craving for more fat plants. Receive new plants, and don’t even have to put pants on to do it. 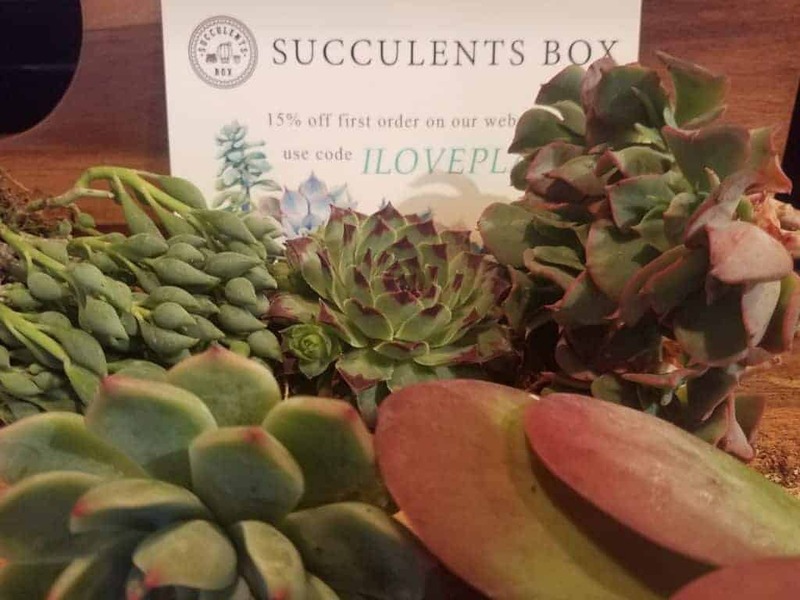 Although the subscription box craze has taken off, there aren’t many succulent oriented ones. Maybe it has to do with the difficulty of keeping and shipping live plants, rather than a bunch of stock in a warehouse. Fortunately, we have brave souls like Tatiana Escobar of Gem Succulents who are willing to risk life and limb to deliver us succulents each month so we don’t have to put pants on. Already excited, and I’ve only looked at the box. It’s a nice box, though. No doubt as to what’s inside. I didn’t ponder for long, though. There were plants under that plastic so I eagerly dug in. After a few minutes, a trove of succulent gems were unearthed. Overall, I found this to be a pretty great subscription box. Let’s get the Cons out of the way first. It’s winter here in the US, but that shouldn’t stop us from enjoying our guilty pleasures. Usually, the addition of a heat pack will prevent any damage caused by the cold. It should be said that all my plants arrived without any cold damage. However, I wouldn’t want to risk it. I’m certain that if you sent a note to Gem Succulents and asked them to include a heat pack they would do so gladly. Despite having “Fragile” stamped onto the box, it was clear the box got shaken up. Shocker, I know. The result is that the plants were partially covered in dirt when they arrived. Not really an issue though, I just poured some dirt out and put it back in. Some of the succulents I rinsed off in the sink to clean, others I just used a paintbrush. In all honesty, I spend more than this every month on my succulents. However, as a recurring payment, I’m a little hesitant to commit to 30 bones. When you do the math, $6 to have plants delivered to your door (plus accessories) isn’t really that bad. Gem Succulents also has a much cheaper leaf props subscription if you want to do it yourself! That wasn’t all that bad, actually. I have a lot more good things to say about the Gem Succulents box. Here are the Pros! This one speaks for itself. If you are trying to build a collection quickly, this is the way to go. Other succulent subscription boxes I’ve investigated usually send 1-3 succulent per month. Those are cheaper, it’s true. I guess it depends on your level of addiction. This was one of the parts I was most impressed with. Out of the 5 succulents I received, 4 different genera were represented! It would be easy for a nursery to just toss me a bunch of Echeveria or whatever they had on hand, but you can tell the nursery put some thought into it. It’s stressful for plants to be shipped across the country. From balmy Miami (where the nursery is located) to my house in chilly Pennsylvania is a drastic change, but these plants managed it gracefully. This was definitely due in part to the way they were packed. Those little planters with the dome were quite effective in protecting the succulent during shipping. I was also highly impressed at this aspect of the Gem Succulents subscription box. The soil mixture was rich with perlite and gritty materials, just the way I recommend. Normally the first thing I have to do when getting a new plant is repot it immediately, but I saw no need to with this order (which is a huge plus in my book). You can tell a lot about the quality of a nursery by their soil, and Gem Succulents has got some nice soil. I’ll admit, I thought the shovel thing was silly when I first saw it. It ended up being really useful, though, when I dug out my buried succulents. It’s also great for getting dirt into the pots around the sides of a sitting plant. I wasn’t expecting the planter saucers that were included, but those are an awesome addition. They have feet that hold the little plastic pot (that has a drainage hole!) up so water can drain. +1 from me for these saucers. These plants that were shipped were actual independent plants with their own root systems. That means they’re much more likely to survive shipping and transplant than if they were just cuttings. Plus, they get to growing faster. It’s a win-win situation. I really enjoyed my Gem Succulents subscription box. I would recommend it to anyone who wants to grow their collection quick, but doesn’t have specific plants in mind. There were a couple of things that could be improved, but overall it was a very positive experience. It certainly won’t be my last order from Gem Succulents. Another reason I like Gem Succulents is because it’s a small, family-owned business. According to their About page, they only just started their nursery in 2017. They saw an opening for a quality succulent subscription box, and they took it. I respect that – it’s not easy to found a business (especially in an untapped market). I’ll always support the little guys and local nurseries before spending cash at Home Depot or the like. If you want to explore their site or their subscription boxes, check ’em out here. Sublime Succulents is not affiliated with Gem Succulents in any way, nor did it receive payment for this review. We reached out to Gem Succulents asking for a sample box in order to review the contents, to which Gem Succulents graciously agreed. Sublime Succulents does not receive compensation for any purchases made at Gem Succulents. This review is our honest opinion.